John joined RBG in 1975 after graduating from college and has been with the firm throughout his entire professional career. He currently serves as managing partner and is head of the firm’s Financial Institutions practice. His whole career has been spent working primarily with community banks and other financial institutions, providing audit, tax, and advisory services. He has helped several clients recover significant tax dollars from prior years by identifying errors in prior year returns. In another instance he helped a client achieve permanent tax savings through analysis of a transaction and suggesting the proper tax treatment. A hard working professional, John’s teammates describe him as intense. Growing up, his parents taught him the value of hard work and that things worth having are worth working for. He followed in the footsteps of his father, also a CPA, when he chose to pursue a career in the accounting field. Having watched how hard his father worked, John developed a sense that being a CPA was an honest profession that rewarded those who applied themselves. His commitment and hard work certainly paid off—John earned the highest grade in the state of Tennessee on the May 1975 CPA exam! And he didn’t stop there! John went on to earn the CPA designation in Mississippi, Arkansas, and Missouri! John is committed to serving within his professional community. He is a member of the American Institute of Certified Public Accountants (AICPA) and the Tennessee Society of CPAs (TSCPA). As a member of the TSCPA, he chairs the Personnel Committee, is a member of Council, and previously served as the chair of the organization’s Board of Directors. 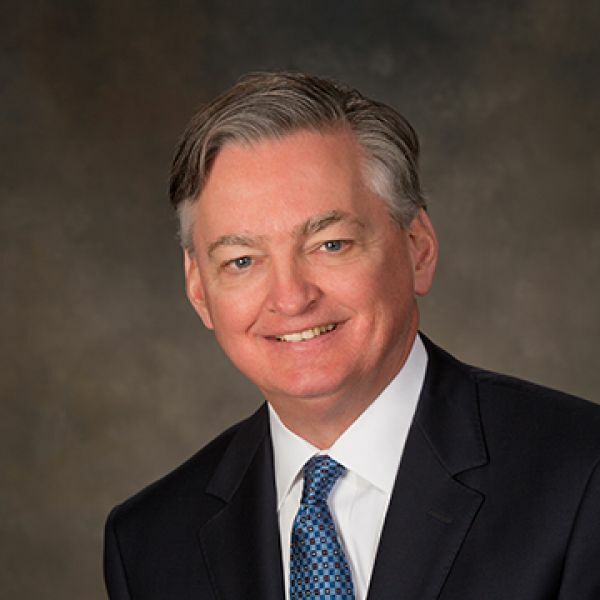 John also spent time serving as the chair of the Memphis Chapter of the TSCPA and the chair of the Board of Directors of Allinial Global, an association of independent accounting firms. Born and raised in Memphis, John currently resides in Germantown with his wife of over four decades, Judy. Together they have four grown children and six grandchildren. Outside of the office, John enjoys devoting his time to family, almost all sports, food and wine, and travel.